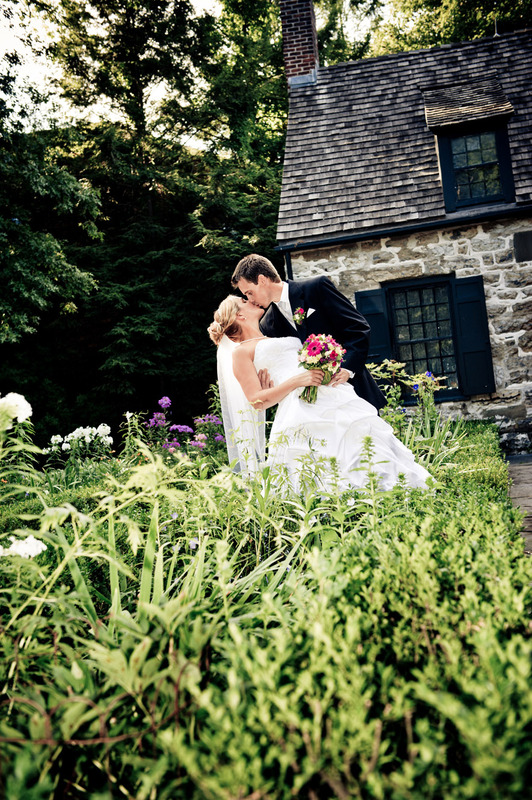 It was my first time doing a wedding at The Senate House in historic Kingston, NY. Actually, I had never even heard of it before. The Senate House located in Kingston, NY is an historic site that is an old limestone building that housed the first meeting of New York’s newly organized State Senate during the American Revolution when Kingston became the State Capital. A small patch of historic ground with gardens, a museum and picnic area. What a cool place to have a wedding and reception! Meghan and Buddy had their wedding ceremony outside, next to the actual Senate House, under the skies of a beautiful summer afternoon. Surrounded by beautiful gardens, live music and their family and friends, it was a great start to a wonderful day! 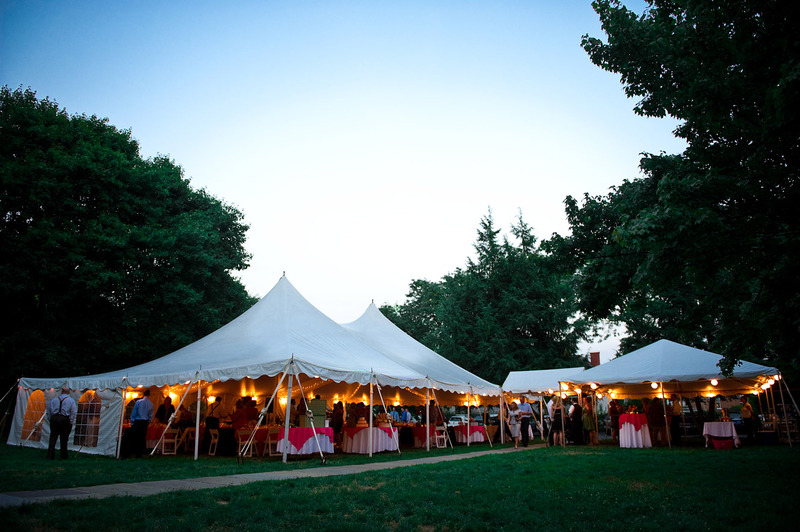 The reception took place on the back lawn next to the Senate House under a tent with the backdrop of the museum and yellow Victorian building. Meghan and Buddy put alot of thought into their wedding. They had a nice variety of music that they wanted to hear and in one way or another reflected their personalities. 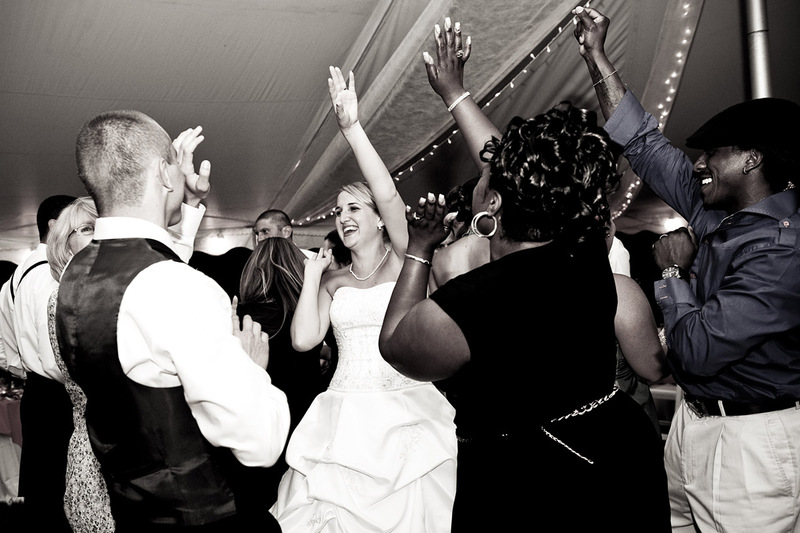 The newlyweds were introduced to their reception to “Brown Eyed Girl” by Van Morrison (one of their favorites) and had their first dance to “Stand By Me” by Ben E. King. 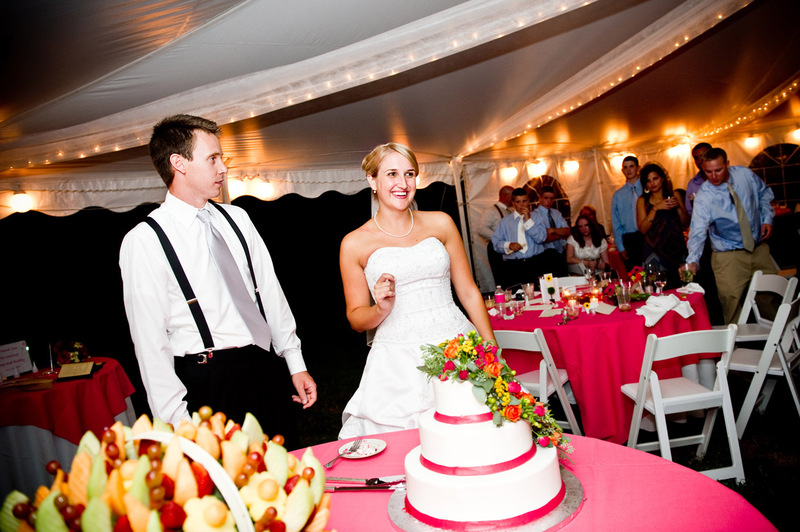 The food and catering was by Catskill Mountain Catering in Cottekill, NY. They added a relaxed family style touch to the atmosphere and not to mention that the food was terrific! With a terrific meal comes a party. 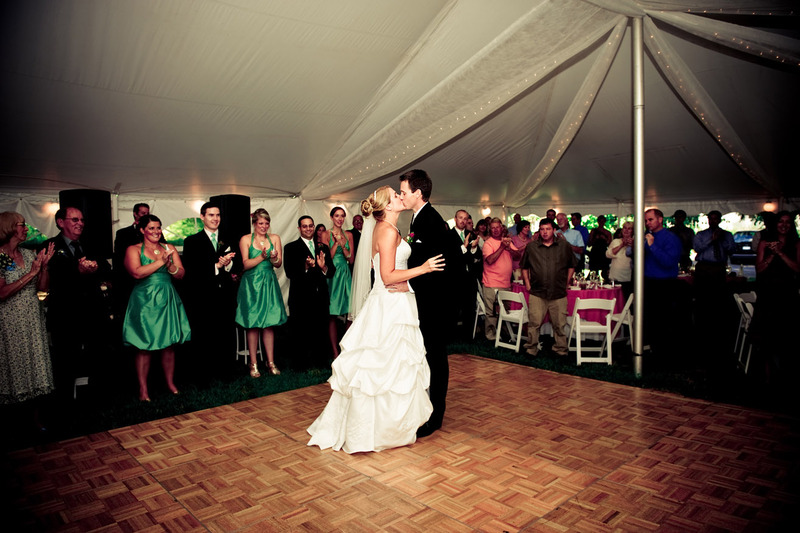 Meghan wanted to open up the dance floor with some of today’s top 40, we danced to music from Justin Timberlake to Kesha to favorite Lady Gaga, (especially Buddy’s favorite – “Telephone”). Throughout the night I was able to work in music from of Madonna, Journey, Michael Jackson. A couple that was there did a ballroom style salsa dance for everyone and opened the dance floor back up by leading the way to the “Cupid Shuffle”. 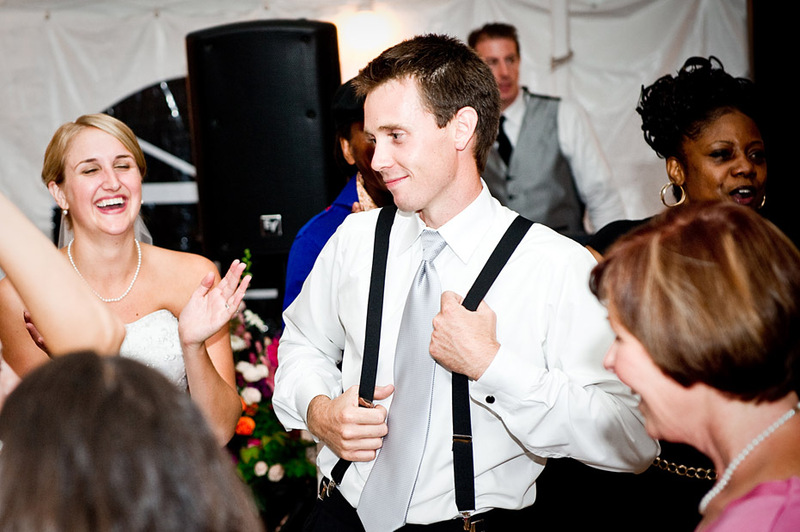 Meghan and Buddy were an easy going, cute couple that you could tell just completely loved being with one another. It was a pleasure to be part of their day! Thank you Meghan and Buddy! Enjoy some of the great photos from the wedding from Nicole Wagner Custom by Nicole , a true professional and great photographer!